This CD contains character songs for the Love Live School Idol Project. 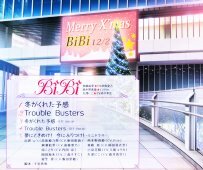 This is also a collaboration song with the smartphone game Love Live School Idol Festival, and was released in the game a few weeks before the CD went on sale. This is the third single by the Love Live subgroup BiBi, made up of Nanjou Yoshino (南條愛乃), Tokui Sora (徳井青空), Pile. The first pressing of this CD came with a serial code for the game which expires on June 30, 2015. 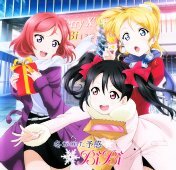 There are three SR cards of the BiBi girls (Eli, Nico, Maki), and each CD has one of them randomly. Around the time this CD was released, there was an advertisement truck for this CD running around Akihbara.